Yes, the 27 year-old midfielder was perhaps tragically misunderstood as a child, and thus sent off to Juventus’ youth program at age 12 much like some parents will send their children to a military school or jail. Juventus recognized the talent they had in their hands, but instead chose to stifle him, trying to thwart his superpowers by telling him he was simply mediocre, an average midfielder. Quietly and humbly, even the great Nocerino himself began to be hypnotized by their Bianconeri spell, only performing well enough to stay in the youth program. After one year in the first team, they loaned him out to then Serie B side Avellino. Then he was sold to Genoa, where they loaned him out to 3 different Serie B clubs in two years. Then, Serie B stalwarts Piacenza bought him for a year. This was an awakening for him, as he had 6 goals in 37 appearances. But the dark overlords at Juventus couldn’t have any of that, so they bought him back in 2007, put him on the pitch 32 times, where, under their spell once again, he scored zero goals. Feeling that they had appropriately indoctrinated him once again, they sold him to Palermo, where he performed just slightly above average, scoring 6 goals in 106 appearances over three years. But Palermo wanted a real midfielder, so, like an old shoe, they tossed him aside for a mere €500.000 to AC Milan on the last day of the transfer window. AC Milan was the home of superheroes like Super Pippo, Fantantonio, and Zlatan Ibrahimovic, so it was only a matter of time before his superpowers were discovered. It was just like Professor Xavier’s mansion, and the real Nocerino broke the Bianconeri spell that was hiding his true identity. Under Massimiliano Allegri’s watchful eye, he learned to temper his powers and use them for good. Nocerino worked hard. He ran twice as hard as everyone else to make up for the Superpowers he didn’t have. 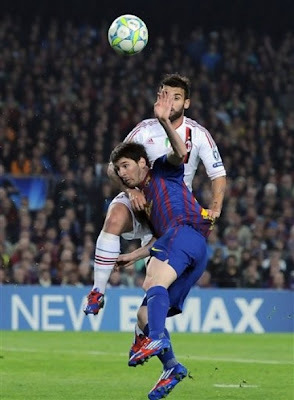 In fact, he reminded the other superheroes of an AC Milan superhero and legend, one Gennaro Gattuso. He was another “average” footballer who turned out to have superpowers of his own. 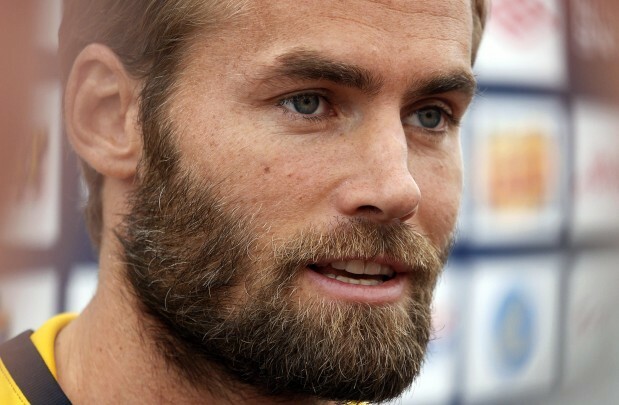 Amongst his superpowers was a beard that was the envy of all the world, well except for perhaps Olof Mellberg. 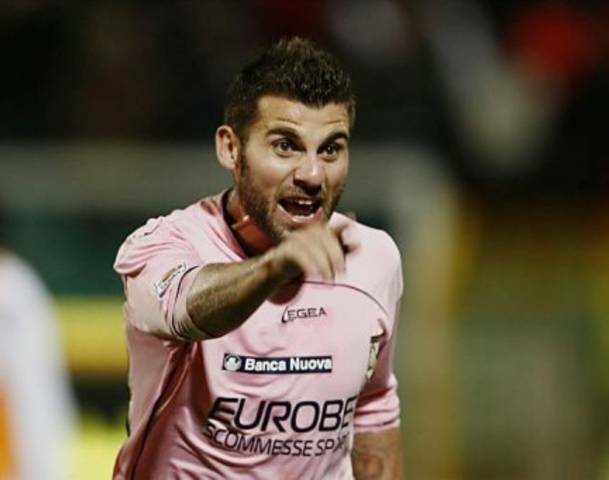 One of Nocerino’s other superpowers is the ability to run… forever. He is also indestructible and never tires, which was crucial this past season when everyone else was injured. But the most surprising power he developed when playing amongst the other superheroes was an incredible magnetic force which drew him toward the goal when he had the ball. Oh sure, he had scored goals before. Anyone can put the ball in the back of the net. But in his very first season at AC Milan, he scored ten goals. The first came against Palermo in the beginning of October, and despite their having tossed him aside, he did not celebrate that goal out of the superhero code of honor. But his newly discovered powers surprised even him, and it was exciting to watch him discover just what he was capable of, too. He didn’t stop there, though. When he was called upon to represent his country, he showed up and was ready when called on. Clearly overcome by his amazing powers, Cesare Prandelli only used him when absolutely necessary. In the Euro match vs. England, Prandelli subbed him in when no one else could find the back of the net. And, even though he ended up being offside, he was the only player for either side that actually did find the back of the net in relegation or even added extra time. Not only that, but when 5 superheroes were called upon to take penalty kicks, his was decisive and sure, and he showed the world exactly what he is capable of. He may have had humble beginnings, he may have been abused and brainwashed and hypnotized to obscure his superpowers by the Dark Lords at Juventus. But now he is at Milan, home to the greatest superhero footballers in the universe, kind of like the Justice League for misunderstood superheroes. He has conquered supervillains big and small with his awesome powers. And I have a feeling we’ve only just begun to see all of the incredible superpowers that he has. Bring on the Noce. *The teams and dates and stats in this story should be factual and correct, however, portions of it may be…what’s the word? Oh… embellished.